I’ll admit it, I’m not the best at math. Well, doing math by hand that is. See, I went to private school during my high school years. There, I was able to use a calculator for all of my math problems. It doesn’t take a genius to realize that my multiplication tables quickly went out the window. With that said, I am able to use a calculator to figure out some in-depth personal finances questions. While most others are not interested in this, they still need to know when they are getting a good deal or not. For this reason, I went searching high and low for some easy to use finance calculators that will help readers figure out some of the more common and costly decisions they need to make. So here are 5 awesome calculators I found. Want to find the perfect plan for you along with the best price? Well then, this calculator from the Wall Street Journal is a great first step. You can choose the phone you have (or want) along with the number of minutes used, data and text messages needed. From there, the calculator not only tells you the price for the service from the carrier, but also the name of the plan at the carrier. This is invaluable since odds are the salesperson will have no clue what plan you are talking about without the name of it. The only downside to this calculator is that it only covers the big players – Verizon, AT&T, T-Mobile, etc. For many this might be OK, since the smaller players have less coverage areas. But for others, they simply want the best price. Are you thinking of moving somewhere else for better pay? Before you accept that job offer, you better know what you are getting yourself into. Just because the pay is higher, doesn’t mean your other costs will stay the same. A few years ago when I was looking for a new job, I thought about heading up to New York City. There, I could do the same exact job but get paid $30,000 more per year! The only problem was that living in New York City (or close to it) was going to be much more expensive, negating much of the salary increase. I did play with the thought of commuting, but a 2 hour commute each way would not be something I could handle over the long term. This calculator allows you to compare the cost of living between various cities. It will show you how much you need to make in the new city just to have the same standard of living. It’s a real eye opener even if you aren’t planning on moving. Ah, the age-old debate will never end. Should you buy a house or are you better off renting. For once and for all, this question can be answered. By using this calculator, you can enter in specific details for yourself, like how long you plan on staying, how much rent increases factor in, etc. to determine which is the best option for you. You may find that actually buying a house costs less money than renting if you plan to stay long enough in the house. Just make sure the information you enter is reasonable. Just how much is college going to cost for little Johnny or Susie? With this calculator, you can find out. It takes into account the cost of tuition and room and board for specific colleges along with any price increases that may factor in. The only downside is that it doesn’t calculate the cost of late night pizza, which as any college graduate can attest to, this alone will most likely double the amount of money needed for college! Want to know how much a loan is going to cost you over its lifetime? You better want to know this information because it is what separates the rich from the poor. The rich look long-term to see just how much buying a car or a house is going to cost them. They don’t look at the monthly payment. That tells you nothing. By using this calculator you can compare various loans to see which one costs you the least in interest and which loan has the lowest fees. You can even see just how much of a difference the change in interest rate has on the overall amount of interest you will pay. In the end, if you want to be financially successful, paying attention to the long-term cost of things is one of the few ways to get there. These 5 calculators are great for answering some common personal finance questions you may have. You can also check out these financial calculators to get answers to a bunch of other personal finance questions you might have, including net worth calculator, savings goal calculator, tax equivalent yield calculator and more. At the end of the day, you need to make sure you are spending your money smartly. 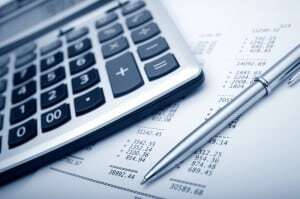 Using these financial calculators will help you do just that. No more relying on someone else’s fuzzy math. Know your true costs, know how to save money with these calculators and start on a path of financial freedom.